The heart is a symbolic shape that has been so ubiquitous in culture for so long – how many thousands do we see in the month of February? – Yet, despite such saturation, we are never exhausted by it. Perhaps is it is simply a measure of how deeply we crave love, and never feel we have enough. 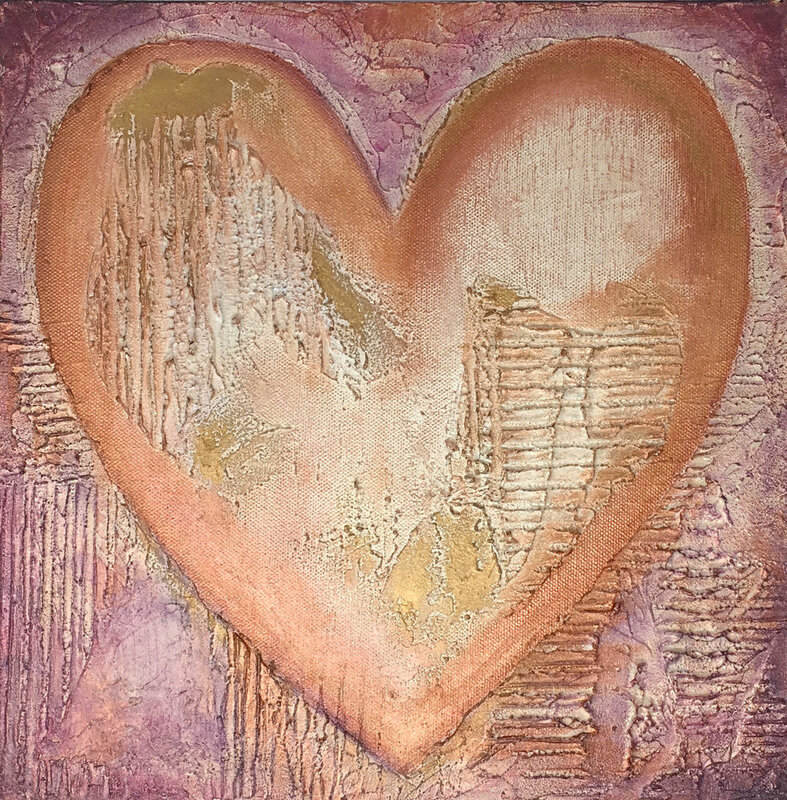 Deb Ogburn unashamedly brings the form to the forefront in her work. Association for the Study of Dreams, National Juried Exhibition (drawing, mixed media), Washington, D.C.
Deb Ogburn is participating in the 2018 Open Studio Weekend, sponsored by Louisville Visual Art and University of Louisville’s Hite Art Institute. His studio, located in the Germantown neighborhood, will be open the weekend of November 3 and 4. Tickets for Open Studio Weekend will go on sale October 16. Click here for more information.